Microsoft recently share a piece of news that made a lot of computer users pretty sad: the company will discontinue all Windows 7 support, including paid support, in January 2020. Microsoft already stopped the mainstream support for the operating system in January 2015. 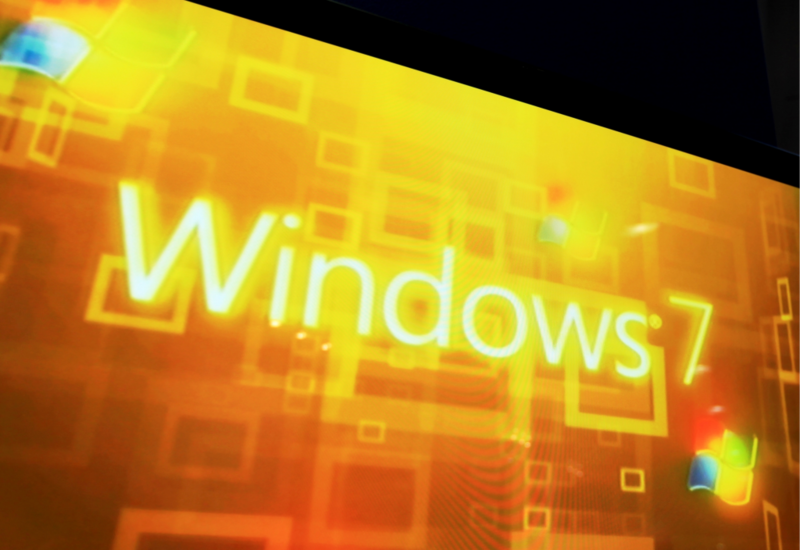 Windows 7 was, and, in fact, still is one of Microsoft’s most popular operating systems. As of January 2018, 42.3% of PC users had Windows 7 installed, and only 34.2% moved on to Microsoft’s latest operating system, Windows 10. However, Windows 7 is now at the end of its life cycle and people using it should start considering an upgrade. Between now and 2020, Microsoft will continue to provide paid support and security updates, but design and feature updates won’t be available. Also, from now on, Microsoft can block Windows 7 support for any computer, and actually already started blocking older, Pentium III machines, in June 2018. Computer users need to be ready for this possibility. What discontinuing all support actually means? It doesn’t mean that your Windows 7 operating system will suddenly stop working in January 2020. You will still be able to use the apps and the software on your computer, and you’ll be able to connect to the Internet, but it’s highly risky to do so. New computer viruses and other types of malware are created every day, and your computer is protected by the operating system’s security updates. Once such updates are no longer available, you’re exposed to serious risks every time you go online. You could lose important documents and other stuff you keep on your computer, such as family photos, movies, music and so on. Even worse, if you’re using your computer for online payments, hackers might get a hold of your data and you might end up losing money from your bank account. Should you wait until January 2020 to upgrade to Windows 10? Windows 10 was launched in 2015, which means that Windows 7 is at the end of its life cycle for three years now, and updates and support for this operating systems are already pretty limited. Microsoft provides these long transitions periods from one system to the next because many of its clients are governments, institutions or corporations that need to purchase licenses and update tens of thousands of computers, many of them storing sensitive information. These operations are time-consuming and expensive, thus the need for a transition period that lasts for a few years. However, for individual users, the transition to Windows 10 is a whole lot easier and there is absolutely no reason to keep postponing it. From a technical and financial point of view, considering that Windows 7 support is paid from now on, you are better off installing the latest Windows version. Downloading and installing Windows 10 is a rather simple and straightforward process, that shouldn’t cause many problems for average computer users. The new operating systems comes with a lot of new features that were designed for the today technologies: apps that can be shared over multiple devices, including smartphones, touch screen capabilities, better speed, an intuitive and easy to use Start menu, and, of course, Cortana, Microsoft’s voice-activated smart assistant. Please send us a message or let us know if you would like help upgrading your business or personal computer to Windows 10.